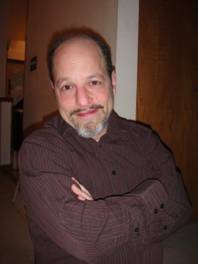 David Lefkowitz, editor/publisher of Total Theater.com, a magazine for which I cover the theatrical scene in southern California, is a distinguished playwright in his own right, as evidenced by the publication of six of his plays, MARRIAGE, BABIES AND THE END OF THE WORLD. The scheme, which involves disguises, moldy prunes, a befuddled priest and a total stranger (who turns out to be Godot), is carried out in swift, outrageous fashion. There is much ribaldry, punning and comic confusion, all the classic farcical ingredients. It makes for a rib-tickling read, a tasty morsel of theatrical madness. The other plays include Bad News, a scathing portrait of a heartless TV news reporter; Blind Date, in which the war between the sexes is fought out in an upscale restaurant; King Solomon the Wise, a satirical and scatological take-off on the Solomonic legend in which God makes a cameo appearance; and Blame Me, a mordant and provocative comment on the AIDS tragedy. At all times, Lefkowitzs writing is sharp, pungent and arresting, the work of a distinctive and skillful writer.